Last year there was much thought given to how the additional pulleys would be added to he masthead for the new high peak main. Some owners have added the pulleys to the shroud fixing with an additional shackle, especially if the shrouds are fitted in this way. 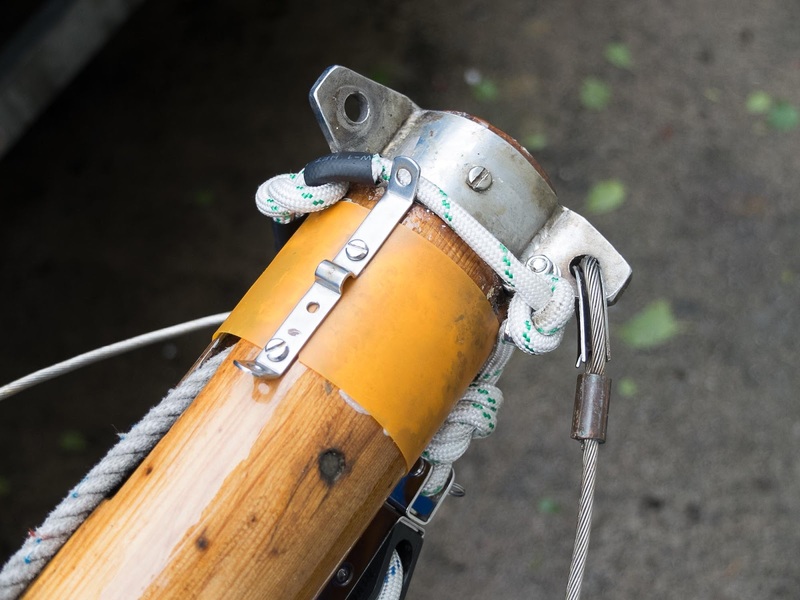 However, with the shrouds permanently attached to the masthead fitting, it was decided to drill the masthead fitting and bolt through two shackles, with the intention to add the pulleys to these. Once sailing it soon became clear that as the gaff swung out, especially when sailing downwind, the pulleys were rubbing on the shrouds. Metal on metal was not going to be a good idea, so a short piece of rope was added. This arrangement lasted the season very well, with no sign of any wear. It is knotted on both sides, so if one side did break the other side should still be intact. The mast has been varnished and the rope replaced, even though the original piece looked fine. 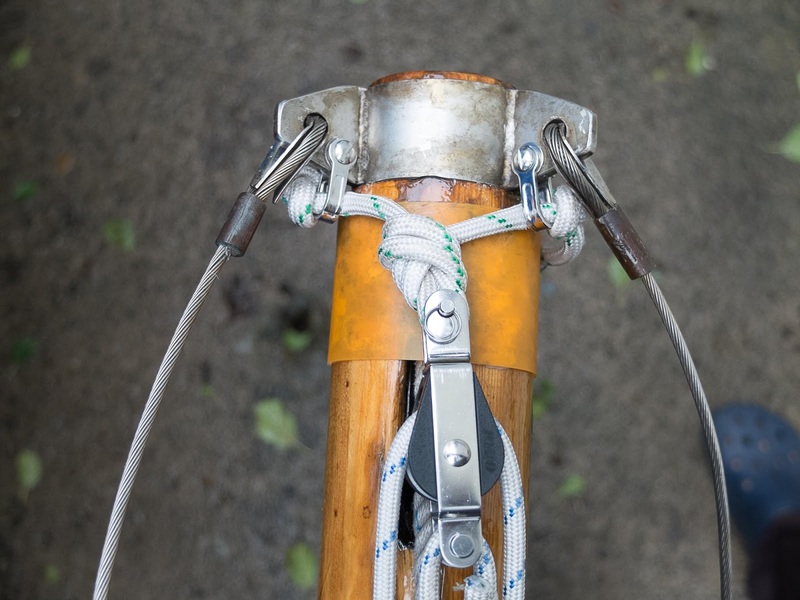 The rope allows the masthead pulley to swing freely as the gaff moves from side to side. 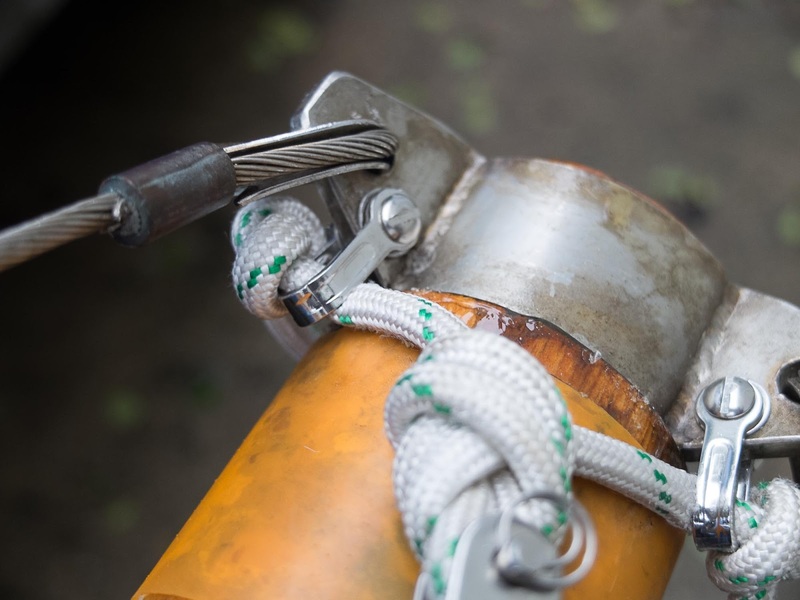 Using a twisted shackle would further reduce the chance of any wear. 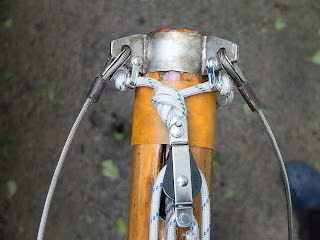 The orange plastic aims to protect the top of the mast from wear.